When it comes to this type of service, we’re really sticking to what we know, as our decades of experience supplying ergonomic office equipment and thinking practically about the design of various workspaces gives us an expertise and familiarity with the subject that is hard to find elsewhere. What is a DSE Workstation Assessment? In short, it’s a crucial protective tool for anyone who works at least some of the time in an office environment. That could be anything from back room in a hospital or canteen, all the way up to working in a bank or creative agency. So, the vast majority of us! We tend to think of office environments as “easy going” on the body – after all, how hard is sitting, and typing? However, while this might seem intuitively right, the reality could not be further from the truth. Sitting in an upright position in front of a screen all day is not natural behavior. As such, it comes with a number of postural risks. These risks are manageable, and an office environment can be structured as to be safe, healthy, and happy – but it takes someone with specialist knowledge to ensure it. The risks undoubtedly justify getting the experts in. 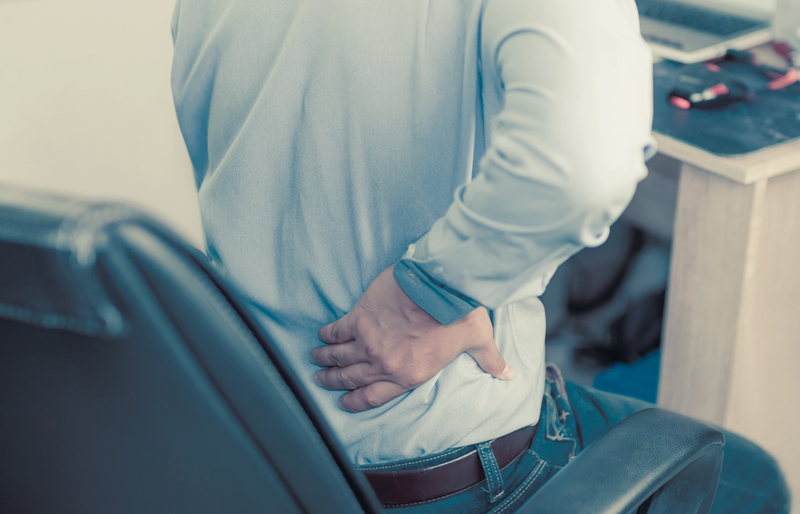 60% of adults in Britain area affected by back pain, and the cost to British industry is around £5 billion a year. That’s a lot of unhappy workers, and a lot of unhappy business owners. A DSE Workstation Assessment is a simple process that checks over your workstation for potential risks to your postural health. It involves looking at your office chair, the equipment you use on a day-to-day basis (like computers and telephones), takes into consideration things like the height of your desk and the lighting, and more. It’s a quick, easy, and painless experience that could save you significant discomfort (if you’re a worker) or significant financial losses due to sick leave (if you’re a boss). And best of all, Streamline is providing it absolutely free of charge. To book an assessment, simply get in touch on 01295 250171. Streamline is your local provider of office solutions. We have a long history in Banbury, and offer consultation services to a wide number of organisations, from public bodies to private businesses, and individuals. Our clients include Oxford Brookes University, Spratt Endicott Solicitors, Ellacotts LLP, and Haas F1 Team amongst others.